Flynn also failed to write good network support in his architecture. In the last post we discussed how digital multiplayer games have evolved, various strategies for getting different game clients to keep their games in sync, and why the core HTTP request/response architecture of the web was fundamentally flawed when it came to multiplayer games. In this post, we’ll dig into the HTML5 solution to this problem and how to use it in desktop or mobile web applications. If you’re running your own web servers, you’ll need to have a program running on the backend to handle WebSocket requests such as these. 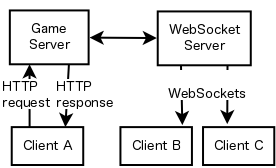 Apache’s ActiveMQ project is one example of WebSocket-aware server software. A full discussion of the pros and cons of various server configurations and software packages to handle WebSockets is beyond the scope of this post. 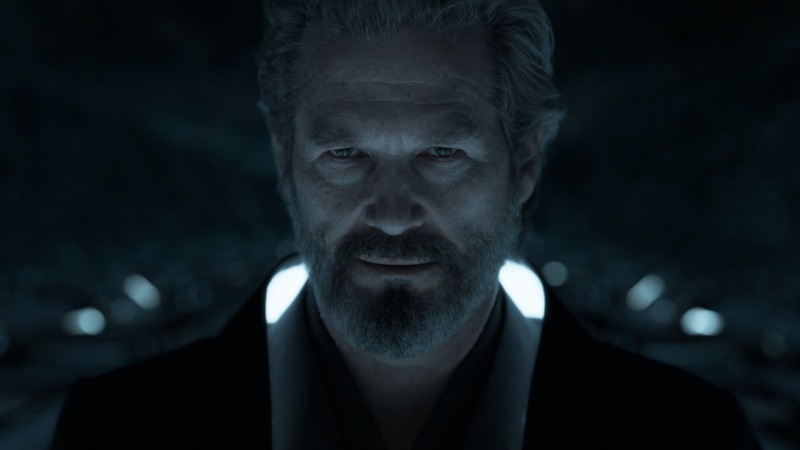 I should warn you, I’ve never tested the above code. The reason why is a little convoluted, but a necessary story. To begin with, my company, 10×10 Room, loves cloud technology. We love the fact that we don’t have to manage our own web servers, database hardware, load balancers, etc etc. We use Heroku as our polyglot server, and they have been awesome. Message gets pushed to the server, server notifies Pusher, Pusher tells everyone else. Note that there is no code to send a message in the above. To send a message, rather than sending it directly from the client to Pusher over the Pusher socket, you are generally expected to use traditional AJAX (or an HTTP request to a new web page) as the mechanism to push a message up to your server, then use the server API to send that message along to Pusher. Pusher does provide direct client-to-client messaging, but that API is in beta and (at least currently) still requires you to have a server involved to authorize any client subscription to a particular channel. A great bonus feature of using a WebSocket wrapper like Pusher, as briefly touched on above, is that if your app is running on a web browser that does not support WebSockets, Pusher will fall back to HTTP polling under the hood to fetch any message updates waiting for your client. You don’t need to worry about whether Pusher is actually using WebSockets or not as the message delivery behavior (at least on the client side) will be the same. So! Congratulations, you now have a path directly from one HTML5 web application to any other client running your web application, albeit with a proxy server or two to help out. How much do those proxy servers slow you down? We’ll show off responsiveness in the next update with the blog’s first ever vlog entry. This is so cool, I can’t wait to show it off.